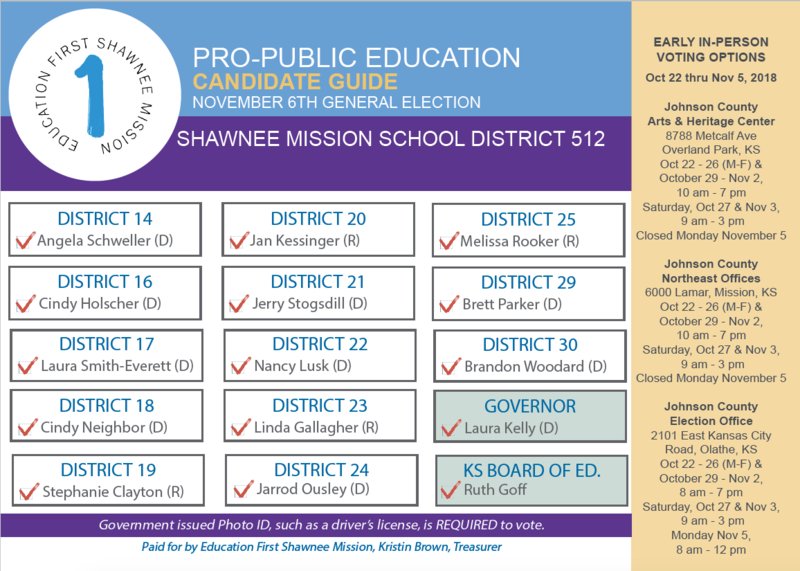 We are so grateful to these incumbents and candidates for prioritizing Shawnee Mission schools. Thank you for looking out for our kids, our schools, and our community! To view our candidate survey, please see here.